Introducing a brand new line of coolers, the Brio Premiere Series. The CBP500 Premiere Series Top-Load Coolers are the most durable, long-lasting coolers in the market. These coolers provide you with the same heavy-duty framework and internal hardware of the high-end coolers traditionally leased and sold through by professional water delivery companies, but at a significant cost savings. While they are durable enough to withstand years of abuse and heavy traffic, they also have a sleek, modern design that fits perfectly into any home or office decor, and a whisper-quiet running sound that will ensure they go unnoticed except when they are in use. Hot & Cold Water Dispenser: When you use our water cooler dispenser you can choose between a Crisp Cold & Piping Hot Output, making it ideal for cool refreshments or toasty beverages. 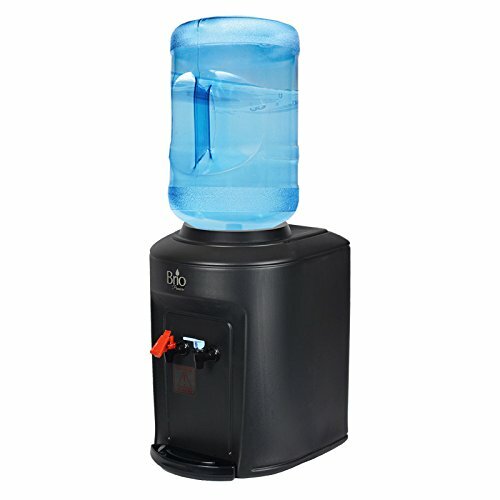 TOP LOADING DISPENSER: This water cooler dispenser loads from the top & allows you to spot if the dispenser is running out of water, which is a great feature for office settings. If you have any questions about this product by Brio, contact us by completing and submitting the form below. If you are looking for a specif part number, please include it with your message.